Last year, Brown issued an executive order requiring all cities and towns in the state to collectively cut their water use 25 percent below 2013 levels. State regulators then set conservation targets for local agencies. Since Brown issued the mandate, the state’s overall urban water use had fallen 24 percent below 2013 levels. A wet winter and spring has also replenished many of California’s reservoirs, prompting some water agencies to complain that the existing regulations are too heavy-handed. On Monday, the State Water Resources Control Board recommended changing the emergency drought rules so communities can relax or even drop mandatory conservation targets. The recommendation calls for local agencies to set their conservation targets based on their ability to supply water if faced with three more years of drought. Also on Monday, Brown issued a new executive order placing permanent bans on hosing off sidewalks; washing cars with hoses that do not have shut-off nozzles; letting water spill onto pavement while irrigating lawns; and watering grass in public. 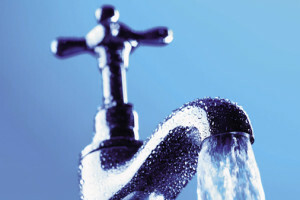 The executive order also requires urban agencies to continue filing monthly reports on local water use, and it directs the water board to create long-term standards dealing with indoor residential use, landscape irrigation, leaks and commercial and industrial use. Brown issued a statement saying Californians must accept water conservation as a way of life. The water board will officially consider relaxing the conservation mandates on May 18.
this all seems to be about residential use? are there any other users that need to be considered? Relaxing or even eliminating water conservation at this juncture would be just as foolish as a doctor prescribing a sick patient with a 10-day course of antibiotics and then, after only three days, telling the patient that he/she doesn’t need to finish the medication because he/she is feeling so much better. We know what that leads to. Best to adjust to permanent mandatory water conservation as our way of living in an area prone to recurrent water shortfalls. Why not establish permanent, sustainable water conservation measures all the time, regardless if we are in a drought year or not. It would be the prudent thing to do. Brown got away with it once at the expense of raising water rates to offset lost local revenues. The next time there are any executive ordered revenue cuts the rate payers will expect Gov job cuts too. Certainly this will not be job cuts for those directly performing what is needed, Gov employment will be conserved like the use of water. It was NOT a wet winter…el nino was a bust. What this is about is $$$$$$. People conserved so much water that water districts LOST $$$$$$! To reward the citizens for conserving, their rates were raised. This really stinks. Welcome to our government of the people, by the elite, for the elite. Was it the same “climate change” alarmists who predicted such a wet El Niño? Oh, I know, climate does not mean weather, etc. But seriously, if “computer models” cannot predict the weather, then why should so much be gambled on them to predict the climate? Some of the very same ones were crying “global warming” until just a few years ago when they realized we weren’t burning up changed it to “climate change”. They also were some of the same ones who were crying “ice age” in the 70’s and early 80’s. Whatever it takes to keep their jobs and control of the populace. I agree with “climate change”, but I absolutely deny “human-caused climate change”! It was a wet winter — north of Sacramento. While loss of $$ to water districts may be a factor in his decision, there are others too. There is also the pull of wealthy communities tied to the State Water Project (most of whose water comes from N. Cal) who don’t want to suffer when there is any available water and long-term consequences be damned.